After eight months of intermittent (and mostly un-) employment, I snagged a mostly full-time job with health, dental, vision and retirement benefits. The company has stores nationwide, the atmosphere is fun, and my boss and coworkers are genuinely nice people. And yet I am still finding it difficult to come right out and tell people that I am now employed – at a bowling alley. 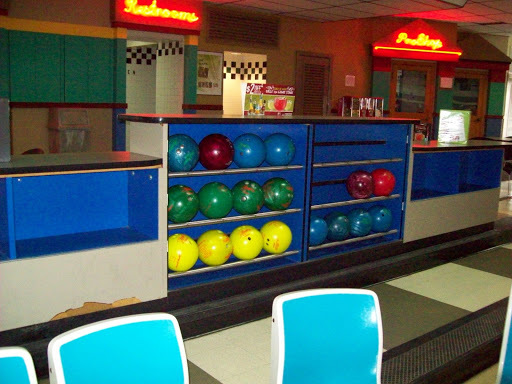 Every time I think the words “bowling alley”, I see the scene in the Dudley Moore film, Arthur, where the butler tells Liza Minelli’s character, his voice totally deadpan, “We usually have to go to a bowling alley to meet a woman of your caliber”. It is very nice, however, to have a regular paycheck, and health insurance has been an almost forgotten dream these past few years. The only thing I don’t like about it is my schedule, which shifts back and forth from afternoons to late nights (sometimes at late as 3 a.m.), plus I am generally working all weekend most weekends, including every Saturday evening. Another positive, though – lots of fodder for future blog posts.